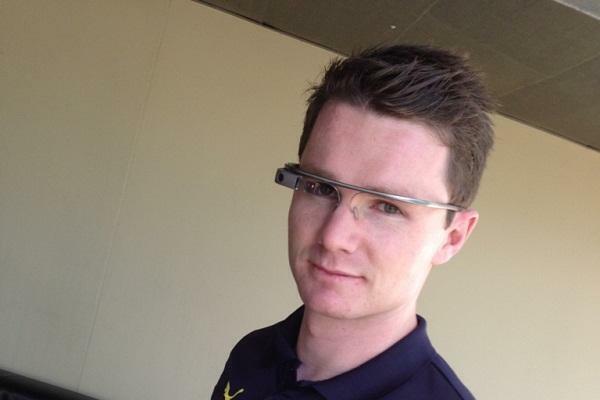 Adelaide Crows AFL player Patrick Dangerfield demonstrates Google Glass. Despite Google Glass not being commercially available in Australia yet, Telstra and Seventh Beam have developed an app called AFL Glassware. The app allows fans to choose a live game commentary or have the commentary translated to text via the optical display. Customers will also be able to view scores and stats while watching the match. Telstra digital media and content director Adam Good told Techworld Australia that the primary aim of the project is to ensure it has some apps available in the marketplace when Google Glass launches in Australia. “It’s also a chance to demonstrate to customers what might be able to be done in the future,” he said. Good added that Telstra plans to develop a National Rugby League (NRL) app for Glass users. A Google Australia spokesman said the company had “nothing to share” about Google Glass availability or pricing for Australia yet.